Laura Chavers began her career as a Pharmacist in Indianapolis, Indiana after graduating from Purdue University. This is where she realized her passion for helping and engaging with people. Whether answering a medical question or listening to a client’s\ needs, Laura found working with people rewarding. Laura’s keen eye for art, decor, and architecture began with her passion for travel. Inspired by the beauty she experienced whether it was within her home town or a trip to London or the Far East, launching a real estate development company would be the next step in her transition to a career in real estate. Currently working as a full-time real estate agent at Vista Sotheby’s International Realty, she brings a vast amount of experience to helping clients find the home of their dreams whether it’s a first home purchase, the sale of an investment property, or somewhere in between. 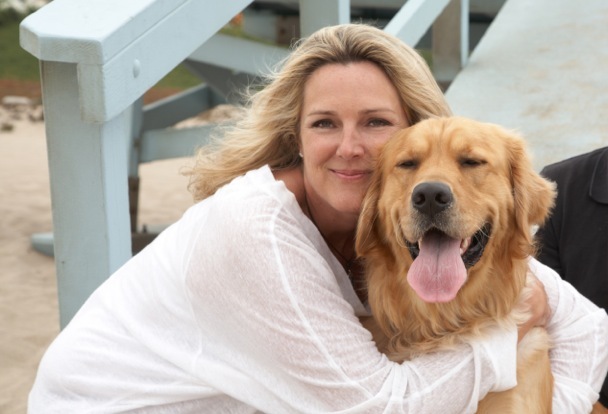 As a Manhattan Beach resident, Laura enjoys traveling, swimming, sailing, paddle boarding, and walking her golden retriever, SkyRocket, on The Strand. She is involved locally with her community through Habitat for Humanity, and internationally she has volunteered her time with a philanthropic group, Eagle-Condor, by helping people in Peru with building, painting, and education. Her golden retriever reminds her to help animals that also need a home through donations to organizations such as The Humane Society. Laura’s dedication and helpful spirit combined with her Midwestern values will serve you well in all of your real estate transactions. Communication is key; you will find Laura is very approachable and listens to what you are saying with keen attention to detail. You will also discover her enthusiasm, discretion and integrity are impeccable. Relax and let Laura help you turn your dream home into a reality.